Learn about awnings, outdoor shades, outdoor screens and other outdoor products so you can include them in your interior design projects. 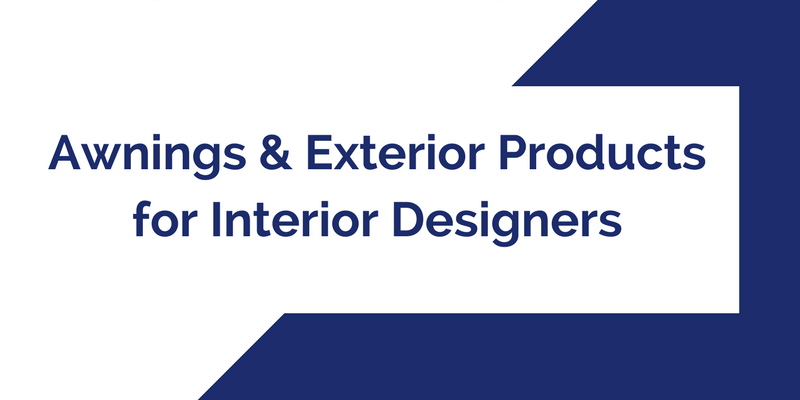 See why offering these products helps you solve problems for your clients and add profits to your interior design business. Learn the differences in the types of awnings and their applications for both commercial and residential clients. This is a fun, relaxed event with plenty of time to network with your interior design colleagues.